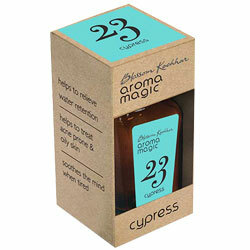 Aromamagic Cypress Oil Relieve Water Retention, Treat Acne Prone & Oily Skin - Aromatherapy Essential Oils. Treat acne prone and oily skin. Helps to relieve water retention. Helps to treat acne prone and oily skin. Soothes the mind when tired.